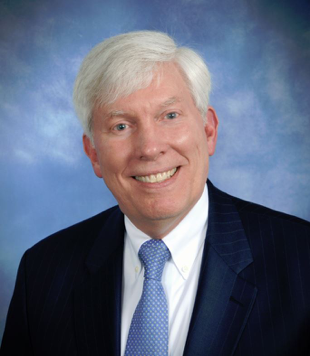 Dr. George C. Nield served as the Associate Administrator for Commercial Space Transportation at the Federal Aviation Administration (FAA) from 2008-2018. Under his leadership, the office had the mission to ensure public safety during commercial launch and reentry activities, as well as to encourage, facilitate, and promote commercial space transportation. Dr. Nield has over 35 years of aerospace experience with the Air Force, at NASA, and in private industry. Prior to joining the FAA, Dr. Nield was a Senior Scientist for the Advanced Programs Group at Orbital Sciences Corporation, where he worked on the Space Transportation Architecture Study, the 2nd Generation Reusable Launch Vehicle Program, and the Orbital Space Plane. Previously, he served as Manager of the Flight Integration Office for the Space Shuttle Program at the NASA Johnson Space Center, and later worked on both the Shuttle/Mir Program and the International Space Station Program. While on active duty with the Air Force, he was an assistant professor and research director at the USAF Academy. As a flight test engineer for the Air Force Flight Test Center at Edwards Air Force Base, he supported the A-7 DIGITAC program, the YC-14 Advanced Medium STOL Transport, and the Space Shuttle Approach and Landing Tests. He also served as an astronautical engineer with the Space and Missile Systems Organization, identifying technology requirements for military space vehicles. A graduate of the USAF Academy, he holds an M.S. and Ph.D. in Aeronautics and Astronautics from Stanford University and an MBA from George Washington University. He is also a flight test engineering graduate of the USAF Test Pilot School. Dr. Nield is a registered Professional Engineer and a Fellow of the American Institute of Aeronautics and Astronautics.